The measure closes a $40 million budget gap this fiscal year and an $18 million shortfall in the one that ends June 30, 2015. AUGUSTA — Gov. Paul LePage maintained his hands-off approach in this year’s supplemental budget process right up to the end when he let the bill go into law without his signature. The measure closing a $40 million budget gap this fiscal year and an $18 million shortfall in the one that ends June 30, 2015, went into law after midnight because the Republican governor took no action on it. Governors typically propose supplemental budgets to the Legislature, but LePage refused to introduce one after lawmakers voted to override his veto of the $6.3 billion, two-year budget in June just days before a potential government shutdown. LePage opposed that budget because it included sales and meals-and-lodging tax increases, and he said it wasn’t balanced. So he told lawmakers they were largely on their own in fixing its multimillion dollar shortfall. Democrats, who control the Legislature, attacked LePage for not submitting a budget fix and claimed he was dodging his responsibility. Rep. Peggy Rotundo, co-chairwoman of the Appropriations Commitee, said Thursday that she’s pleased the panel was able to come to agreement on a budget despite the circumstances, which are considered to be unprecedented. “I was proud of the work we did on Appropriations in voting out a bipartisan budget in spite of the fact that we were in uncharted waters, never having been in a situation where we didn’t get a supplemental budget from a governor,” the Lewiston Democrat said. But their work isn’t over. The committee continues to work on the remainder of the 2015 budget and will hold a public hearing Friday on two new funding proposals, including one from the Democrats that aims to capture funds by going after health care provider fraud, Rotundo said. LePage has said he believes lawmakers will adjourn before finishing the 2015 budget and push that work on the next Legislature after the election, but Democrats have dismissed that idea. His office Thursday reiterated its position that it’s the Legislature’s budget in explaining why the governor didn’t sign the bill and said lawmakers still have much work to do to fix the spending plan. 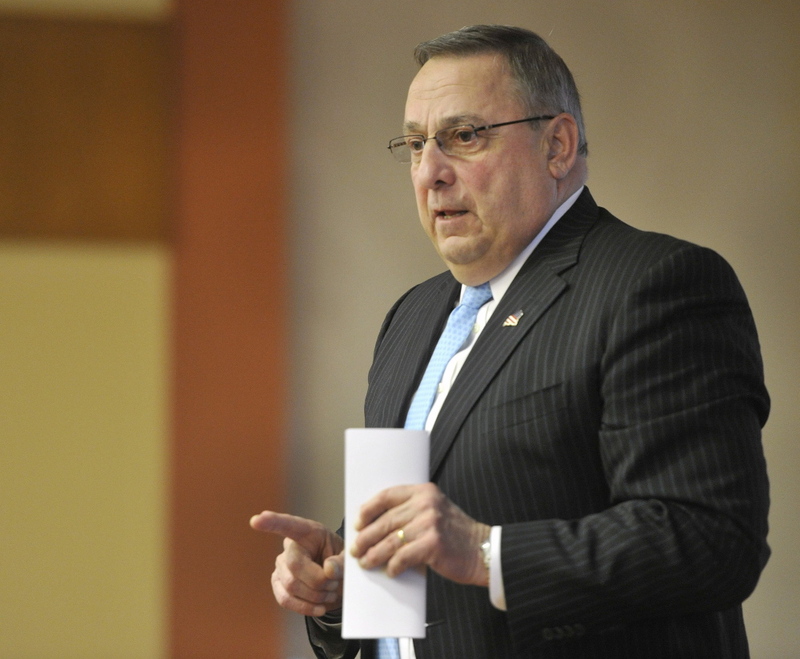 “The real challenge will come in the 2015 budget,” LePage spokesman Peter Steele said. Among other things, the budget appropriates $500,000 for Head Start programs, $9.5 million for schools and $4.5 million in merit and longevity pay for Maine state employees supported by sources such as casino revenues and leftover money in the state’s now-defunct Dirigo health insurance program. The measure was overwhelmingly approved by the House and Senate last month after a brief skirmish over Democrats’ decision to initially attach the fiscal year 2015 funding initiatives to a bill restoring $21 million to the rainy day fund, which was a priority for LePage. Republicans and Democrats eventually agreed to vote on the two bills separately.